My daughter is a 5th grader, reading at the 2nd grade level. The school has finally agreed to test her for services, but said we had to sign some kind of waiver. Do I need to get an advocate? It is good news that the school will test your daughter. A comprehensive evaluation should also provide recommendations for programming and describes the necessary intensity, duration, and type of interventions your child needs. Unfortunately, school based testing often falls short in this regard. Parents usually seek help with advocacy to fix something that has gone wrong. For advocacy to be the most productive, efficient, and less costly in the long run, it is best to get the advocate involved at the beginning of the process. The more you know about the process, the more effectively you can work with the advocate. Ideally, advocates address issues ahead of time to head off future problems. Caution: Parents do not need to waive any rights for either themselves or their child in order for the child to learn to read in a timely manner, or to get a child tested. When several of the attorneys are recommending the same advocates – these are the ones to choose from. There are no national or state standards for advocates so it is important to get a referral to someone who has training, experience, and a track record of successful advocacy. Look at the Wrightslaw Yellow Pages for Kids resource directory for advocates and attorneys in your state. You may also consider checking neighboring states. 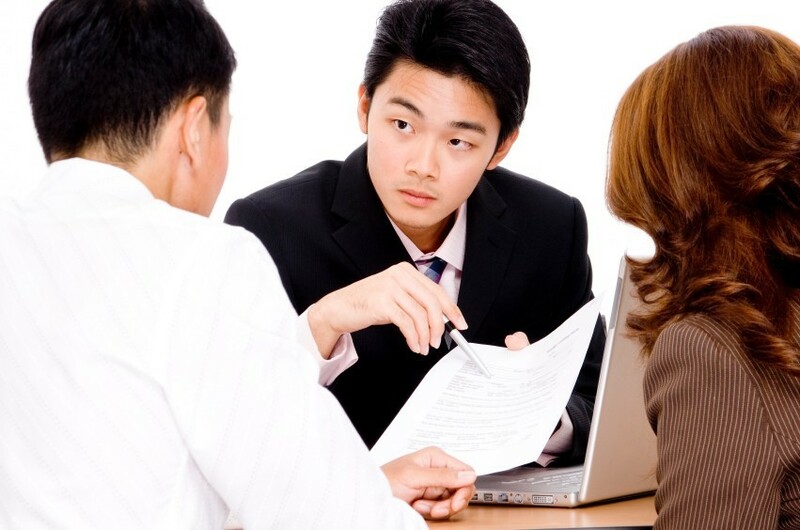 On the Yellow Pages, you find also find more resources in addition to advocates and attorneys. No matter what you do or who you call – read (and reread) this book. It will help you understand your rights and your daughter’s rights. It will also tell you what you need to know in order to get the education your daughter has a right to. Remember: The more you know about the process, the more effectively you can advocate. The basics of advocacy seem weak when a large problem is looming, but they are the bricks that can build a better program and document what is not working in the current program. The principles and tools in From Emotions to Advocacy can be used for any situation, so continue to use it as a reference book. In this book, you will also find samples of letters that you can adapt to document your own circumstances. How to Understand your Child’s Test Scores. 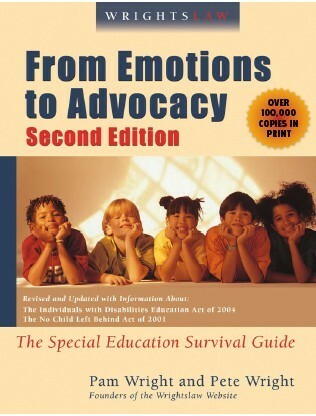 This entry was posted in Advocacy, Parent Rights & Responsibilities, Tests & Assessments and tagged Evaluations, Parent advocacy, Reading, Wrightslaw Understanding Your Child's Test Scores, Wrightslaw: From Emotions to Advocacy by Wrightslaw. Bookmark the permalink. My daughter is a 6th grader on an IEP. She made great gains from 3rd to 5th grade, but now she is failing math and doing poorly in other classes. I have been talking with her spec. Ed teacher but every response I get is she isn’t trying, staying focused, or using time wisely. I try to explain to her this could be due to overstimulation and the fact it takes her longer to process. I feel this teacher wants to do the minimum and hurry and get her out of spec ed services. She assures me that they are doing everything that is written in her IEP, but it still doesnt seem to be working. They are in no hurry to admend her IEP. Diagnose wit dyslexia and auditory processing disorder in 3rd grade. We live in Kansas and I know that they dont have to see these a disabilities. What can I do.